The Property Ombudsman (TPO) scheme has issued a supplementary membership guidance note to help agents understand their obligations under the revised Codes of Practice and ensure compliance with the Competition Act. The revised codes, came into effect on 1st October 2015 and were approved by the Chartered Trading Standards Institute (CTSI). The Property Ombudsman (TPO) scheme has today (1st October) issued amended and updated versions of all its Codes of Practice for UK and Scotland in order to support the introduction of new legislation that has come into force within the last 12 months. After months of hard work and dedication, The Property Ombudsman (TPO) scheme is delighted to announce the launch of their brand new website, designed with a fresh new look and user-friendly navigation, and now featuring live feeds through social media. 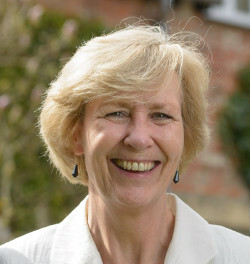 From 1 November 2015, Katrine Sporle CBE will take up the role of Ombudsman at The Property Ombudsman, taking over from her predecessor Christopher Hamer, whose nine year term comes to an end on 30th November. The Property Ombudsman, Christopher Hamer recently attended an event organised by Sunderland City Council to promote its Accredited Landlord's Scheme, a new partnership launched to improve and maintain standards of accommodation in the private rented sector. Christopher spoke about the importance of the redress scheme explaining what TPO represents, how he operates and his role as the Ombudsman. Bruten & Co Limited, a sales and lettings agent based in Notting Hill Gate, London, has been expelled from membership of The Property Ombudsman (TPO) for a minimum of two years after failing to comply with parts of the Code of Practice for Residential Letting Agents and failing to pay an Ombudsman's award made of £768 to complainants. Allen & Crane Estates, a sales and lettings agent based in Burnham near Slough, has been expelled from membership of The Property Ombudsman (TPO) for a minimum of two years after failing to comply with numerous elements of the Code of Practice for Residential Letting Agents and subsequently failing to pay an Ombudsman’s award made of £1,600 to the complainants. MT Properties Central Limited (MTPC), a sales and letting agent which operates in Birmingham, has been expelled from membership of The Property Ombudsman (TPO) for a minimum of two years after failing to comply with parts of the TPO Code of Practice for Residential Letting Agents. MTPC also failed to co-operate with the Ombudsman’s investigation and to date has not paid the award made of £2,300. 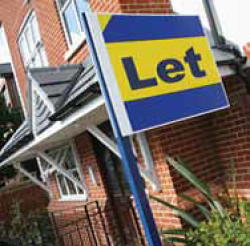 The decision to expel MTPC from TPO membership arose following a complaint from landlords relating to a number of aspects of the agent’s service in connection with tenancies at two properties. The Ombudsman found evidence of poor record keeping and administration, and upheld complaints about the collection and payment of rent to landlords, as well as poor service. Two members of staff, one from The Property Ombudsman the other from Northwood UK, switched roles for a week in order to gain greater experience and knowledge of each other’s positions within the industry. 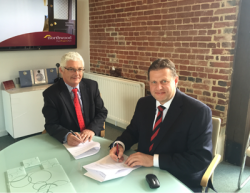 After nine successful years as the Property Ombudsman, Christopher Hamer’s term of office is coming to an end. On 30 November 2015 he will be officially standing down. The independent TPO Council together with the TPO Board Chairman, Bill McClintock, have began the search to fill the position. Christopher will however remain as Ombudsman for the next few months where he will continue to generally represent the scheme. He will be handing over to his successor on 30 November. The Property Ombudsman (TPO) scheme recently launched two new versions of its Code of Practice for sales and lettings agents operating in Scotland, and to officially mark the launch of TPO Scotland, invited individuals from leading industry associations, agents and local journalists to join the Scottish Board and the Ombudsman, Christopher Hamer, for a celebration. The event took place at the Offices of Braemore Lettings in Edinburgh and proved to be a great success with guests enjoying a buffet lunch and a glass of wine. The latest report released by The Property Ombudsman reveals a continuing upward trend in new referrals, 42% against the previous year. This is indicative of both the general trend in the consumer world to challenge when something does not give satisfaction, as well as the growing number of agents (28% more than at the start of 2014) now signed up as members of TPO. Six months on from the introduction of new legislation, making it a legal requirement for lettings agents and property managers in England to join a government approved redress scheme, the report indicates the number of letting offices now signed up to TPO scheme has reached a record level of 12,915. This brings the total number of sales and lettings offices offering TPO's free, independent route to resolve disputes to 26,735. 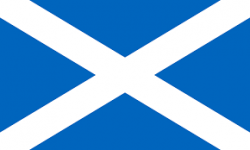 The TPO scheme has launched two new versions of its Codes of Practice for Sales and Lettings Agents operating in Scotland. The Codes are unique to TPO and have been raising standards in the property industry for 25 years as part of the scheme’s free, fair and impartial dispute resolution service, which helps more than 16,000 buyers, sellers, landlord and tenants with their disputes. Sixty-nine per cent of consumer complaints were supported by the TPO scheme, which recently gained approval from the TSI CCAS for its Lettings Code of Practice. TPO, the UK’s largest government-approved redress scheme, has published its latest market statistics to highlight the number of landlords and tenants who have used its free, fair and independent service following new government legislation for letting agents. 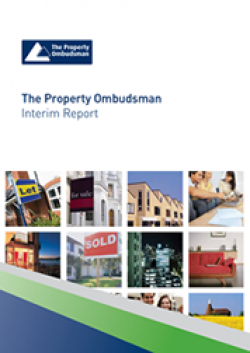 TPO can confirm the publication of a new report, written by Kate Faulkner, with the backing of The Property Ombudsman (TPO) and the industry, which can be found here. 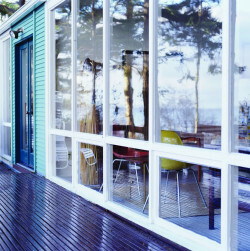 Christopher Hamer, the Ombudsman, provided his expert opinion and guidance on some of the topics covered in the report, having seen thousands of issues that many landlords and tenants experience when a dispute arises in the private rental sector. 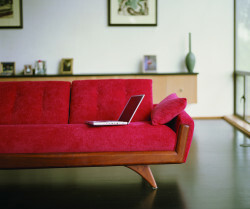 More than 12,000 lettings offices registered with the UK's largest redress scheme have become approved traders under the Trading Standard Institute's (TSI) Consumer Codes Approval Scheme (CCAS) after The Property Ombudsman scheme's (TPO) Lettings Code of Practice was given the green light by the Consumer Codes Approval Board. The Property Ombudsman (TPO) scheme has reported a sharp increase in the number of consumer complaints for the residential lettings sector, ahead of the requirement for all letting agents in England that comes into force this week (1st October 2014) for every letting agent to register with an approved redress scheme. 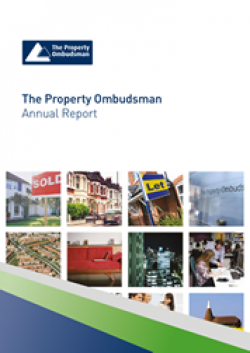 The figures, published in The Property Ombudsman's 2014 Interim Report reveal that 1,187 complaints were resolved in total about both sales and lettings issues between 1 January and 30 June 2014, with 721 complaints (61%) made against letting agents – a 37% increase on the same period last year. The Ombudsman upheld 74% of the complaints made by landlords and tenants against letting agents. The Property Ombudsman (TPO) scheme has expressed its support for a new 'best practice' Code for the Private Rented Sector (PRS) which was officially launched today by the Minister for Housing, Brandon Lewis. 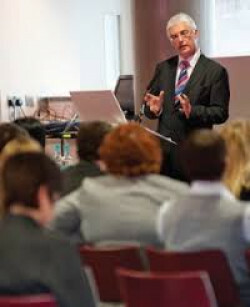 The new PRS Code, which comes immediately into effect, was developed at the request of the Department for Communities and Local Government's (DCLG) in 2013. Facilitated by RICS, the drafting of the Code brought together TPO and sixteen other leading property organisations to collectively outline mandatory and recommended best practices for landlords and lettings agents in order to improve the stock of privately rented homes in the UK.